Give any air cleaner that uses a center nut an exciting new look with a prominent officially licensed GM air cleaner nut. 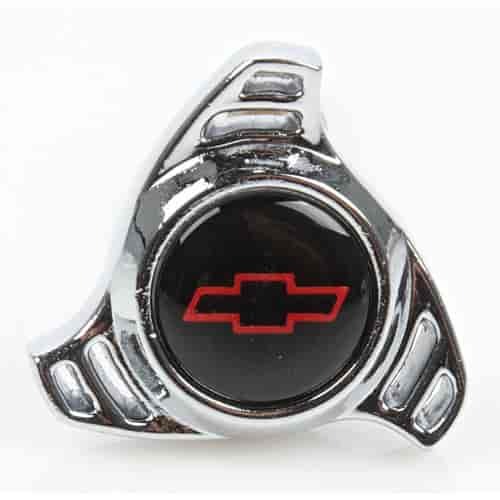 These aluminum Chevy Bowtie and GM emblem center nuts are a quick and easy upgrade that’ll give your air cleaner a distinctive eye-catching look. All nuts fit both 1/4''-20 and 5/16''-18 studs. 141-328 is rated 4.0 out of 5 by 1. Rated 4 out of 5 by Tko123 from Great replacement part. Looks good on my chevy. Really tops off my truck. A little small but looks good.